For us, the summer of 2013 has been all about BABIES!! Not only did we welcome our own baby girl into the world, we had many friends and family also welcome new little ones, or announce pregnancies! What is everyone drinking lately!? If you're like us- if you're not expecting yourself, you know others who are and have lots of baby gifts to purchase...and you want it to be something fun and unique! Today, I am excited to share with you a company that offers just that- Pearhead!! Pearhead offers unique baby gifts and keepsakes that allow you to capture all those special moments in your little one's life. Adorable picture frames and albums, personalized room decor and fun keepsakes...they have so many great gifts to choose from!! 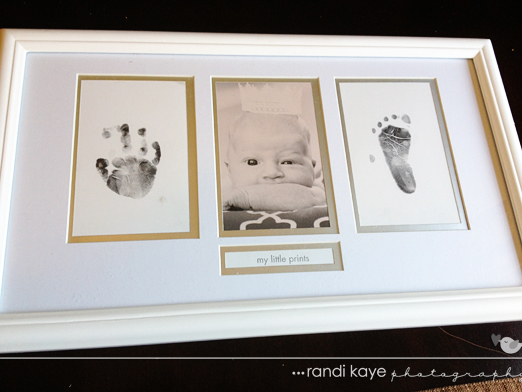 For this review, I received the Babyprints Photo Frame. When I received the first package, I was disappointed to open the box and discover the glass on the frame had been broken during shipping. I contacted the company and they sent another frame out right away. I was extremely impressed with the customer service I received and how quickly the new frame arrived! The second frame was in perfect condition- and absolutely beautiful!! My favorite feature of this frame was the clean touch ink pad. When my son was a baby, I remember trying to get his prints for his baby book, and it was not easy!! It was a three person job and it still ended up looking slightly alien-ish...and created quite the mess! The clean touch ink pad made it much easier...simply put the ink pad on the paper, ink side down and press baby's foot onto the clean side...perfect print. (Unfortunately, I did not get photos of this, as I was doing this on my own, but it really was very simple...simple enough that it was a one person job.) Of course, mess or no mess, getting baby to cooperate can be a challenge, so I was happy that they included 4 cards for prints, just in case you messed up (giving you eight chances, front and back). I will say that it's definitely better if you can get them on the first shot, as the ink does get a little lighter the more you use the pad, but we tried several times to make sure we had good prints and though a bit lighter, the later ones were still perfectly usable as well. After the prints were done, we simply taped them to the matting in the frame, along with our photo and phrase of choice and it was ready to hang. Super easy, which we all know is important with a newborn!! Now, we have a super sweet keepsake that makes a perfect addition to Miss Finley's princess room!! Winner will be contacted via e-mail after giveaway ends, and will have 48 hours to respond before a new winner is chosen. One entry per household. Odds of winning depend on valid entries received. A Modern Day Fairy Tale is not responsible for lost packages. US only. 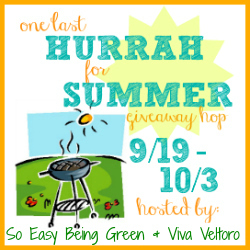 Viva Veltoro, So Easy Being Green, the Blogging Mamas Network, and the One Last Hurrah for Summer participating bloggers are not responsible for sponsors who do not fulfill prize obligations. 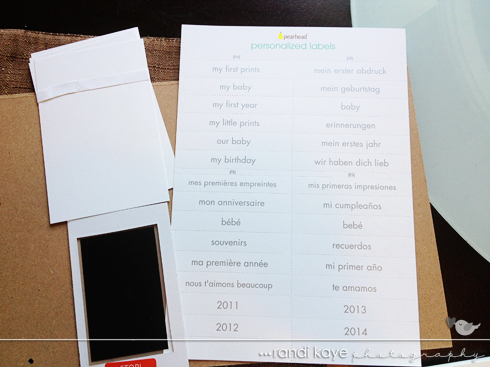 i like the babyprints memory box! Babies are just like God's gift for me. So gift for a baby should be some thing different and special one. Which can bring smile on their faces and they can learn something from those gifts. It can be toy with some puzzles or something like that. i love all the photo albums! !